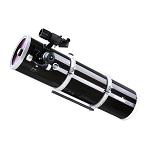 Designed for intermediate users, the Explore Scientific FirstLight AR80mm f/11 Refractor Telescope is intended to take astronomic observation to the next level by providing a complete setup for viewing the Moon and planets. 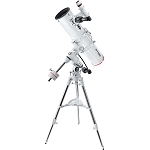 Its manual equatorial mount has precise Right Ascension (RA) and Declination indicators to find your subjects and dual slow-motion cables for tracking. 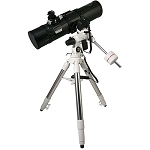 As a more advanced mount, it allows users to find just about any visible object by just knowing its celestial coordinates. 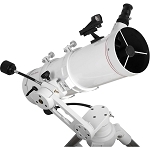 After the scope has been properly polar aligned, and the subject found, it can be easily tracked by making slight adjustments to the RA axis. 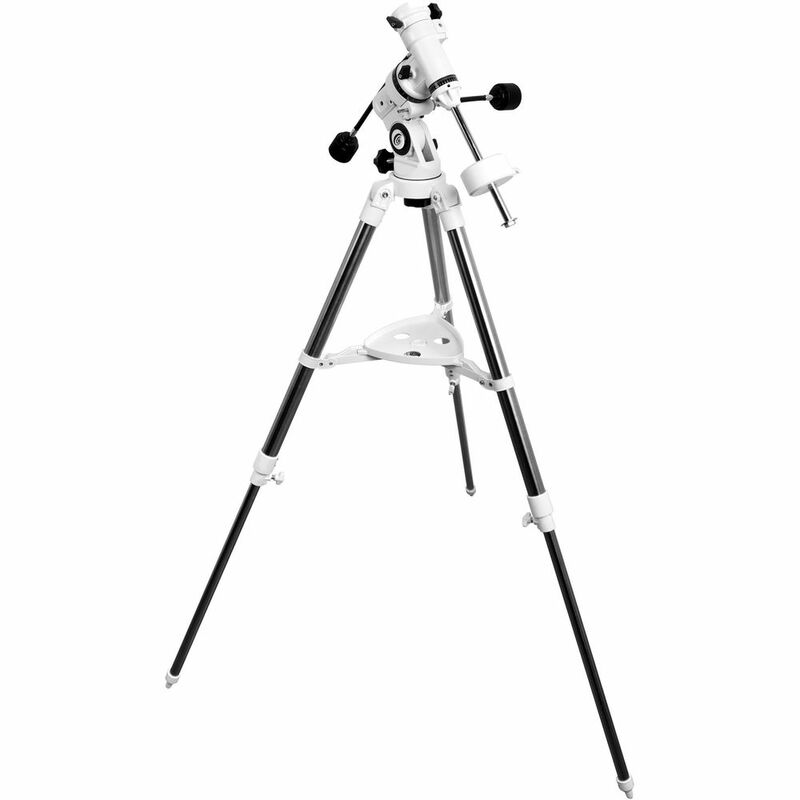 An adjustable-height stainless steel tripod provides a stable platform for sky watching. The included red-dot finder makes polar-alignment faster and is an essential tool for quick observations and star-hopping navigation. 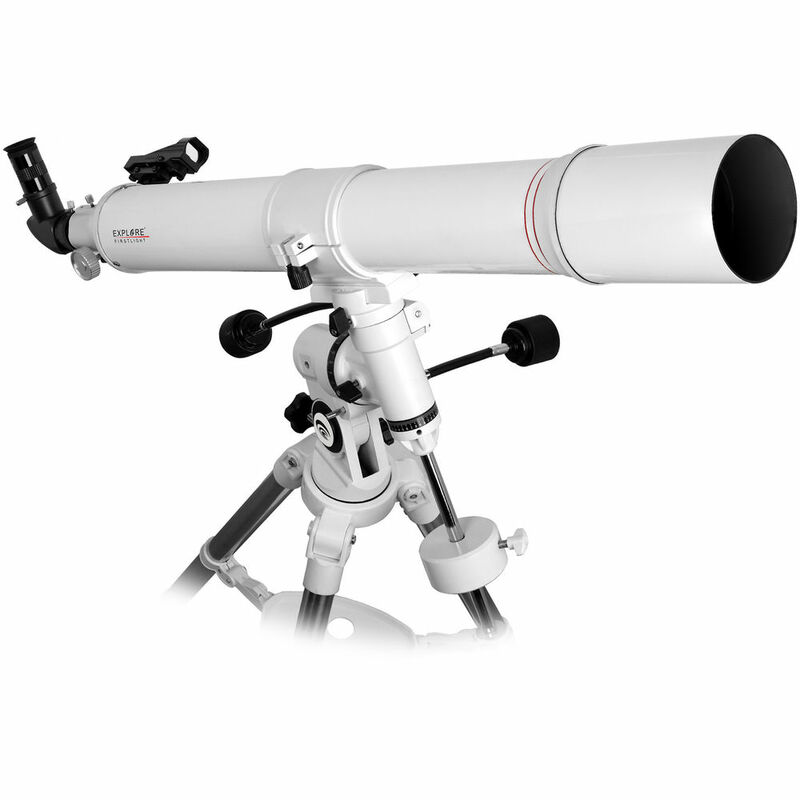 An included 90° star diagonal makes looking through the scope more comfortable, especially when aiming the telescope toward the zenith. 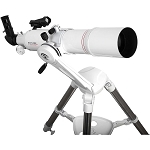 The 25mm eyepiece yields a moderate 36x magnification, and with the included smartphone adapter that sleeves over the eyepiece, users can easily take and share images or video through the scope. Adjustable height from 24 to 41"